With the oncoming winter, our bodies have to do a lot of adjusting to colder, drier conditions. There are a number of ways to protect the skin as these changes occur. One amazing product is honey, which can help keep skin healthy, hydrated and protected. Humans have been collecting honey for eight thousand years, using it to to cure, to sweeten and to embalm and honor the dead. 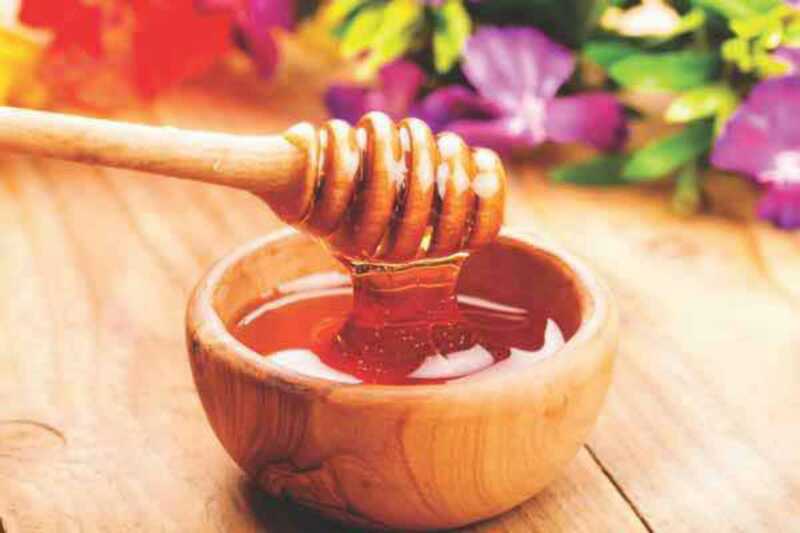 In India, honey is considered to be one of the five elixirs of immortality. Honey, sometimes called “liquid gold,” can help the skin during these rough winter months. Honey is a humectant, meaning that it attracts and retains water, making it a wonderful moisturizer. It is packed with vitamins and minerals, and when honey mixes with water it releases agents that prevent bacterial growth, so that it acts as a gentle antibacterial cleanser. It is said that Cleopatra, renowned for her beautiful skin, took baths of milk and honey. Adding to the benefits of honey, milk has lactic acid, an exfoliant that cleans off dead skin cells. The fat and proteins in milk also soften the skin. To enjoy the benefits of this bath to it’s fullest, it is best to use a local raw honey. Most of the honey we find in the grocery store is not pure honey; it has corn syrup or combinations of processed honeys, limiting its beneficial properties due to its reduced nutrients and enzymes. Once you have your honey, prepare your bath by taking one to two cups of whole milk and a half a cup of honey. Pour the mixture under the warm water as the bath fills, letting the milk and honey absorb into the water. Before stepping into the bath, gently rub the skin with a cloth or brush in circular motions toward the heart to remove dry skin. Immerse yourself, relax and enjoy for ten to fifteen minutes.